So it's been a few weeks since market and I haven't officially introduced my new Kid Giddy Sizzix dies with you yet here on my blog. 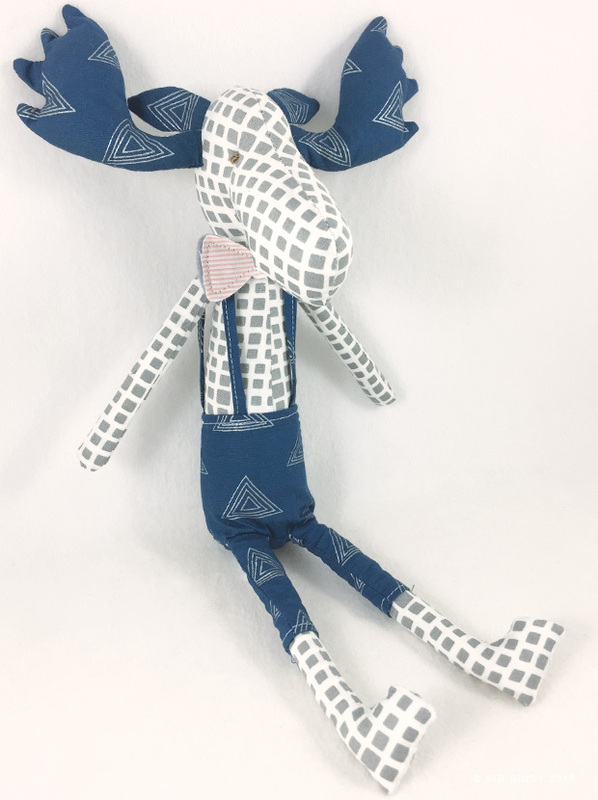 When Amy Friend (duringquiettime) asked me to be a part of Pat Bravo's Heartland fabric blog tour - I knew I wanted to make a cute little Kid Giddy Moose. And when you make a cute little moose, you have a make a friend for it too. 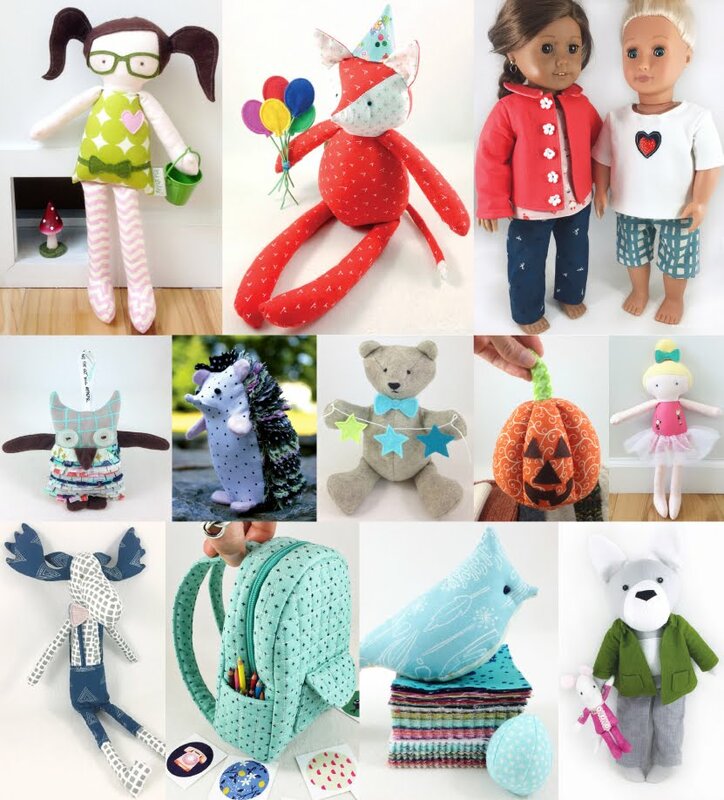 For those of you that have known me or at least have known my work, know that I have always given my stuffed friends a name and a story (just like in my book: Sewing Tales to Stitch and Love). I messaged my sister to see if she had any suggestions for these two moose. She came back with a few, and then suggested Chip and Joanna! I mean seriously - who doesn't love Fixer Upper?! 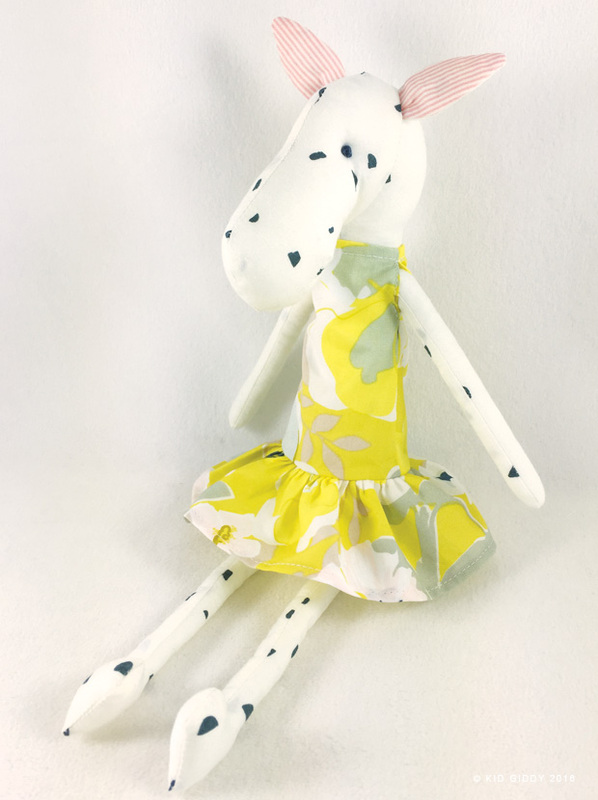 What's funny is that while I was sewing the girl moose - the fabric reminded me of vanilla ice cream with chocolate chips! But in this case - the boy moose needed to take the name Chip. lol. That was settled, it's Chip and Joanna! 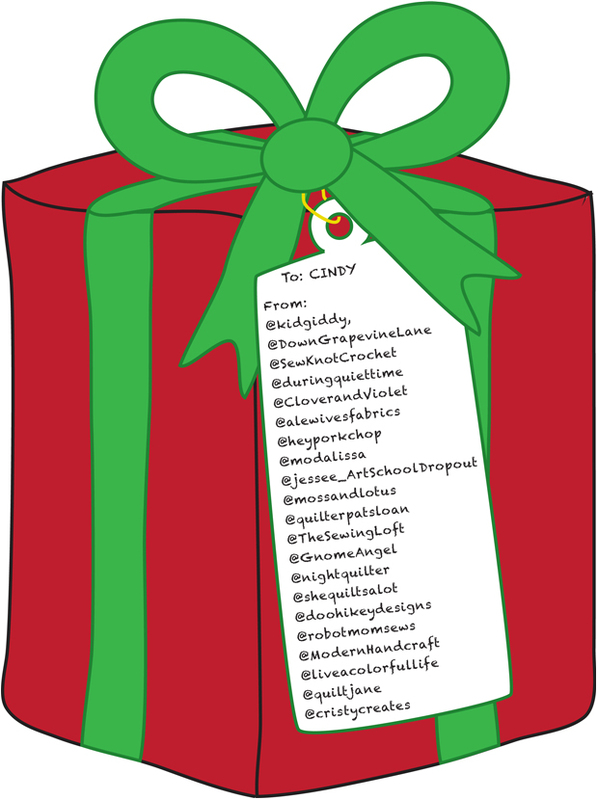 Thanks so much for stopping by and thank you especially to Amy and Pat for including me in this blog hop. It's always fun to play with new fabrics and be crazy inspired by them. If you haven't seen the Heartland Fabrics Pat designed for Art Gallery Fabrics, you have got to go take a look at all of them. They are all gorgeous! Disclaimer: Although I received this fabric for free, opinions are always my own. There are no affiliate links. I have a fun announcement to share. 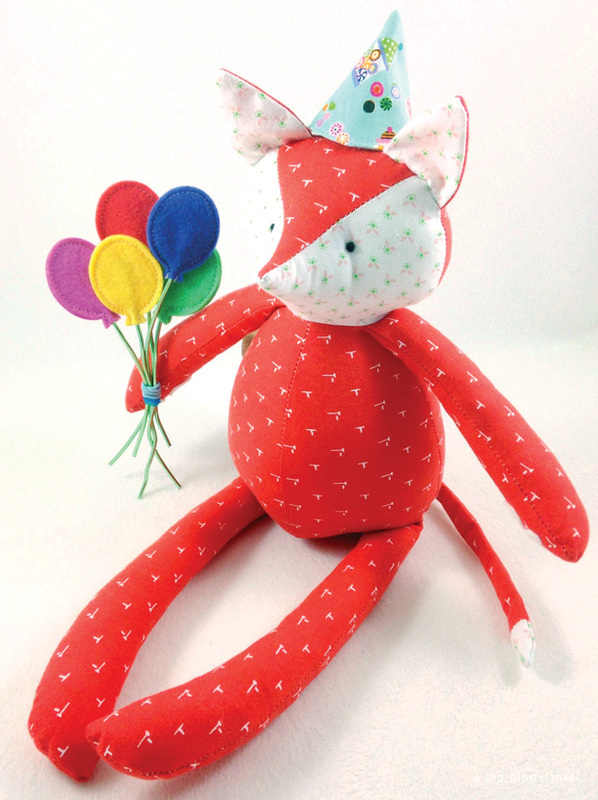 Sizzix is hosting an awesome Kid Giddy Fox Die giveaway on their Facebook page. You can click on the link above for all the details. 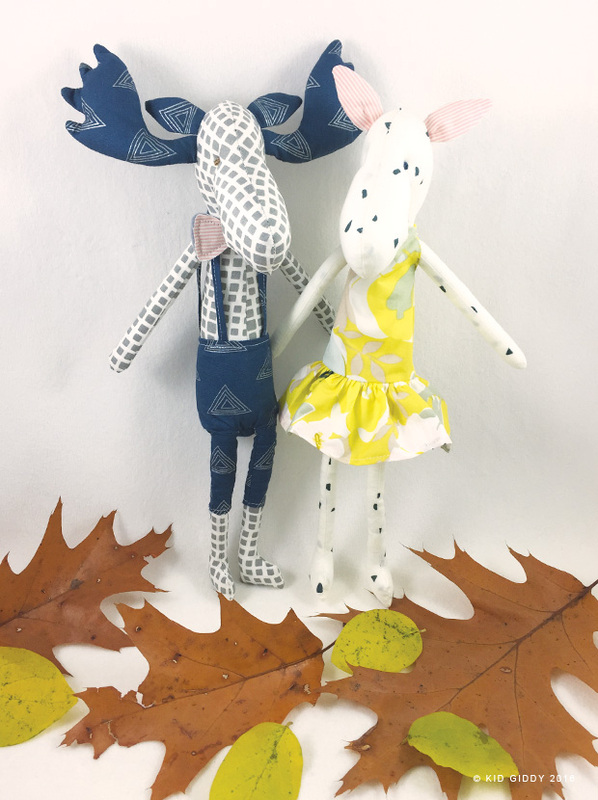 But while you are here...check out some of the awesome things the Kid Giddy Fox die can do! The Fox die comes with all the pieces you need to make the Party fox (as shown above). The hat can be made into a witches hat, or a Santa hat too and the balloons can be sewn onto some cardstock for some cute birthday cards (or other special occasion). Of course you can make him without all the bells and whistles too (as shown below) - a perfect friend to play out in the yard with during the fall season...but that is not all. 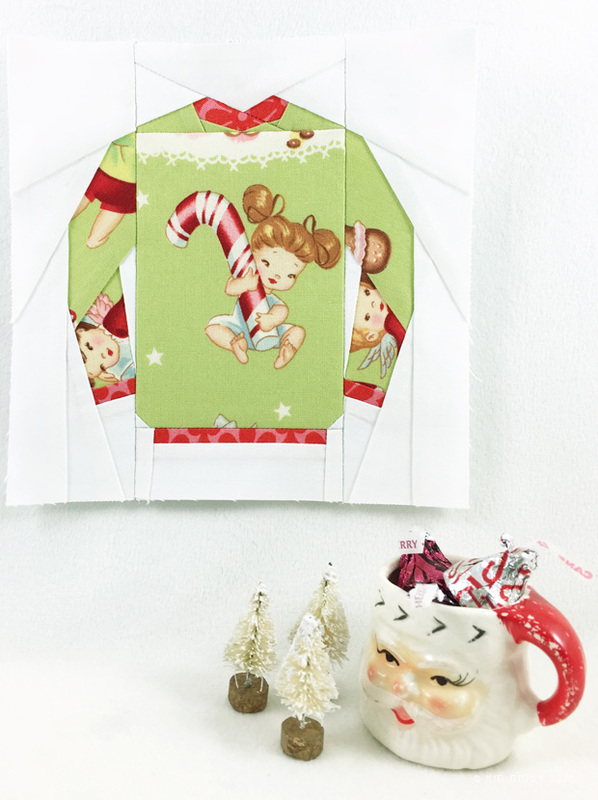 You can also mix and match the Fox and Kid Giddy Doll die pieces to make even more combinations. Crazy fun right?! 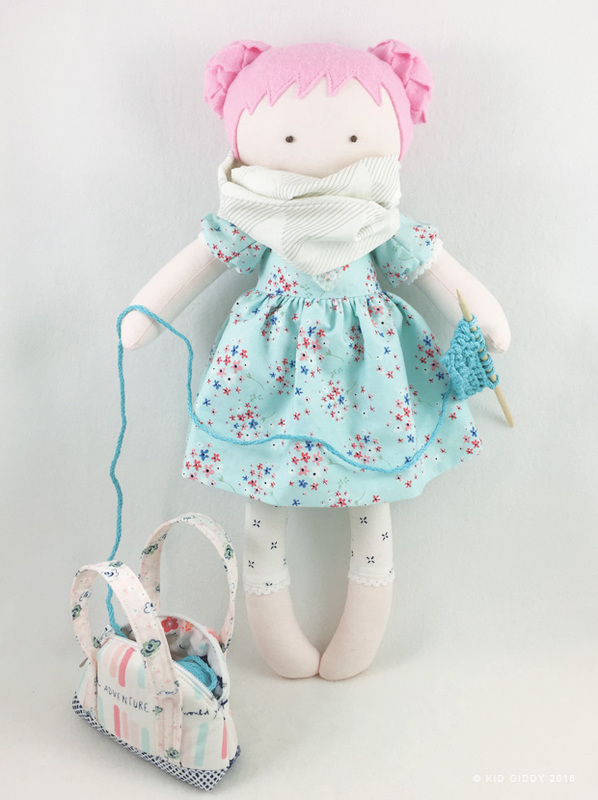 I love using the Fox arms and legs on the doll die (like I did on the Bubbles Doll below) and using the Fox body for a fuller figure (like a Santa doll). They can mix and match perfectly because the neck width is the exact same. 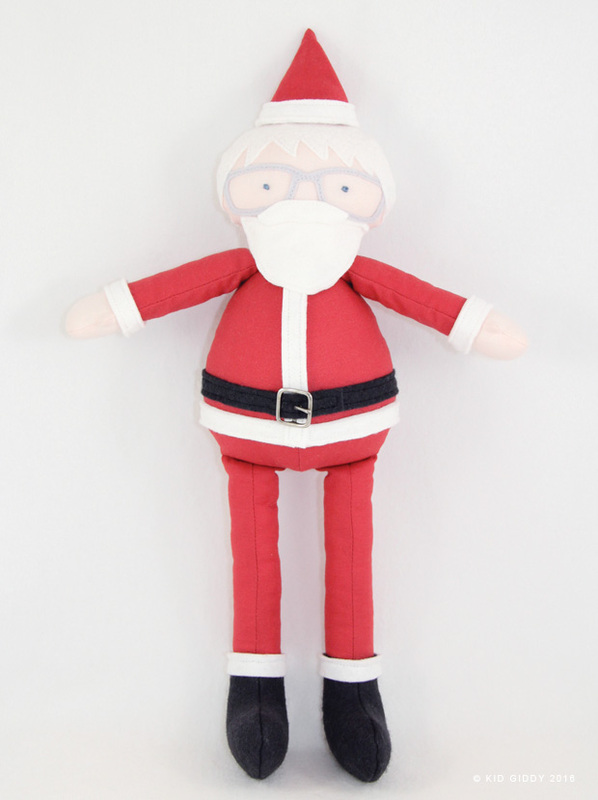 Here's the Santa Doll (the body and his hat are both from the Fox die). There are truly so many possibilities with the Kid Giddy Fox die and even more when used with the Kid Giddy Doll die. 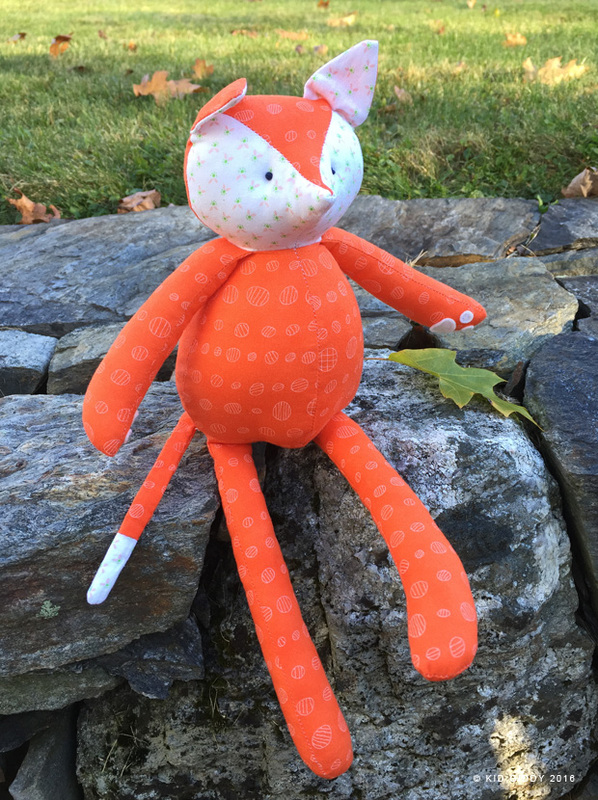 So head on over to the Sizzix Facebook Page for your chance to win my Kid Giddy Fox Die! This is the last block release for the Land of Magic Quilt sew a long and it's definitely one of my favorites. 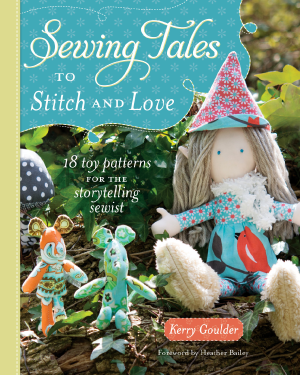 Don't be sad though - we still have some more sew along posts to keep things going to get your quilts done. 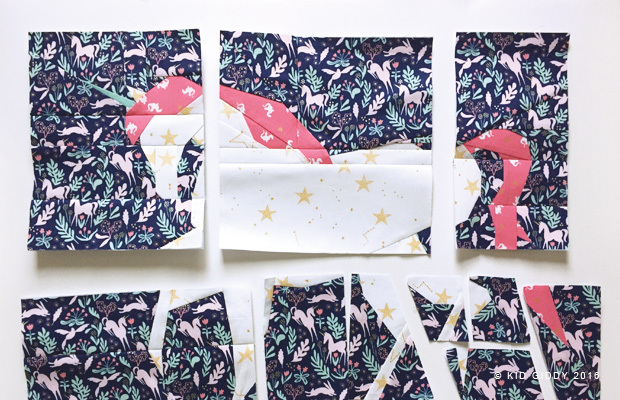 If you are new to the sew along or missed one of the blocks, you can click on the links to learn more about each one here and catch up as you can: Crown, Star, Castle, Dragon and the Mermaid. 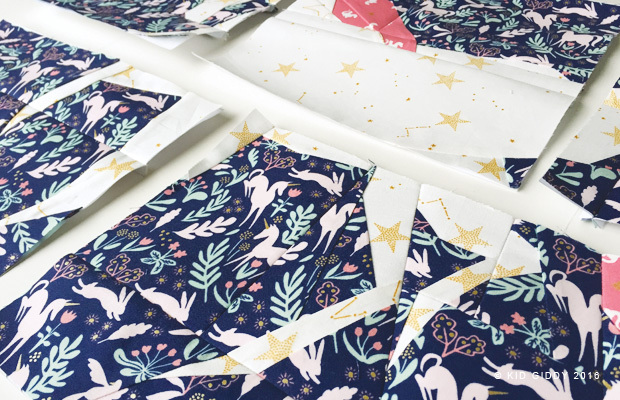 To sew your own Land of Magic quilt using all of the Sarah Jane Studios new Magic fabrics, just as I designed this quilt with, you can purchase a Land of Magic quilt kit from the Fat Quarter Shop. 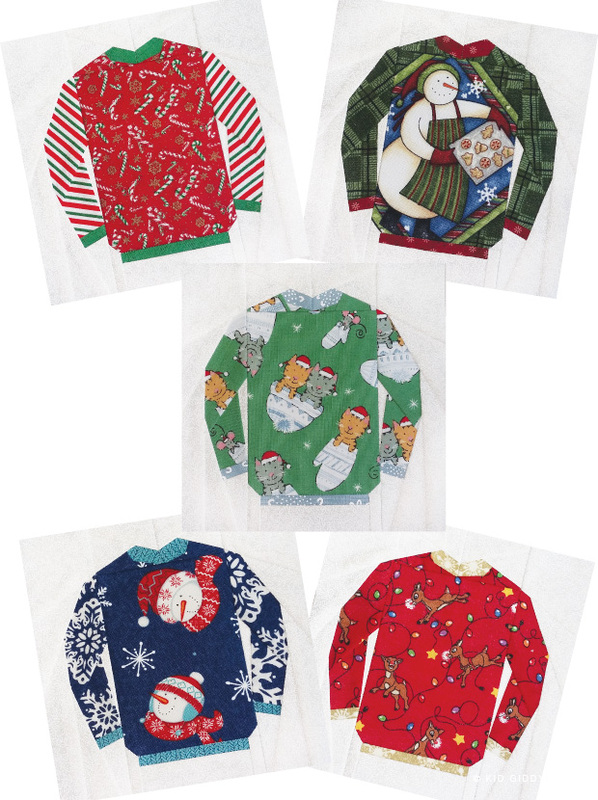 There are limited quantities available - so get one before they are all gone. 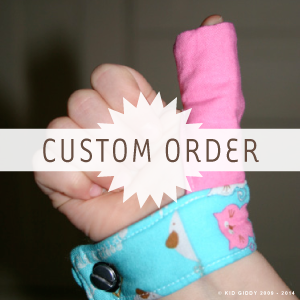 You can find all of the patterns in my Kid Giddy Etsy shop. 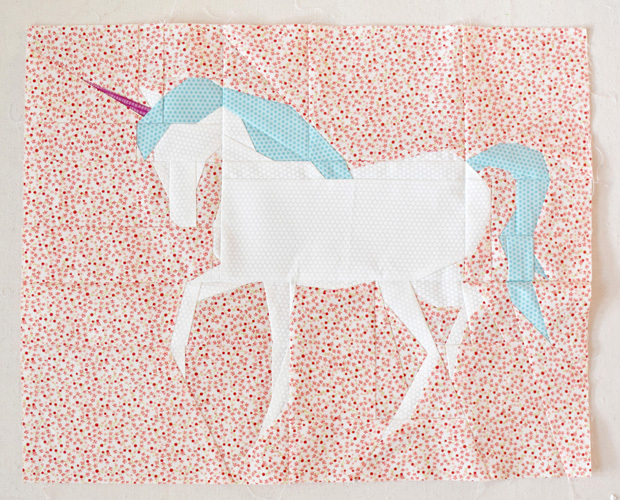 This Unicorn block was based on Sarah's Unicorn border print. 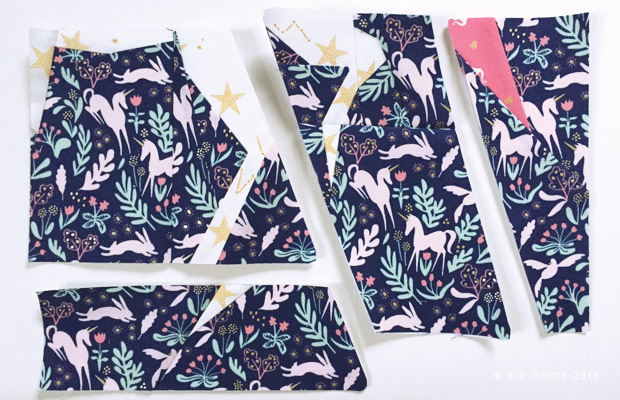 I loved the prancing unicorns and felt they would make the best block compared to the other unicorns in her collection. I especially loved the simplicity of the unicorn hooves. I seemed easy to do to also match with the hands of the mermaid. It took some time to figure out the fabrics I wanted to use based on it being the last block. I loved using the Magic Folk as the background. It's a directional print, but looks great when arranged accordingly. The Unicorn block will piece together as a full top and full bottom piece. The top half is very straight forward. The bottom right section is a little difficult because of the angles. Follow the previous tutorials for helping with angles and it will go together much easier. Once this section is done, the Unicorn block is a breeze. As usual be sure to press each section prior to trimming and check all of your fabrics to be sure each one is correct. 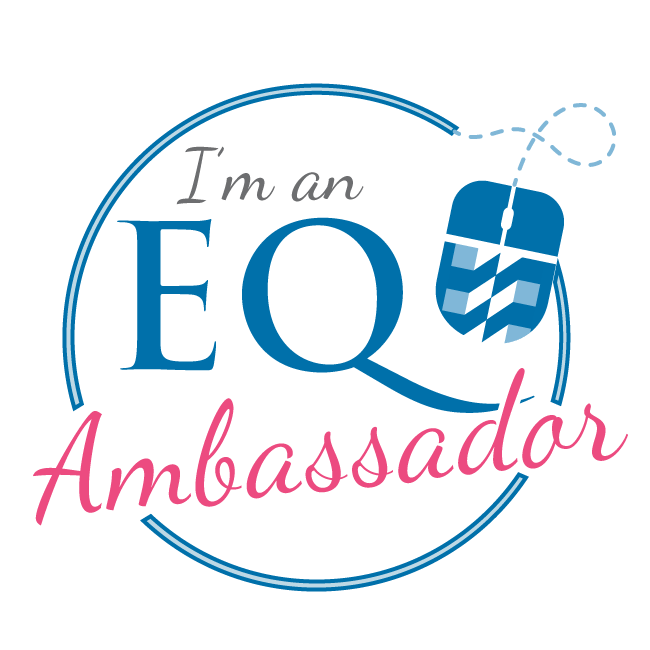 My two guest bloggers are Peta from She Quilts A Lot and Jennie from Clover and Violet. 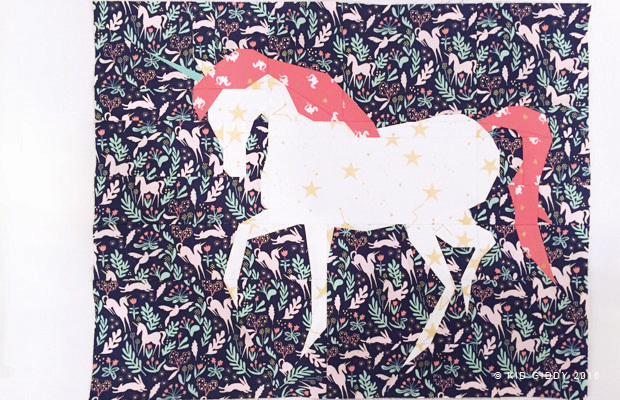 Peta decided to make her unicorn a solid pink with Sarah's Magic Folk print in the background. 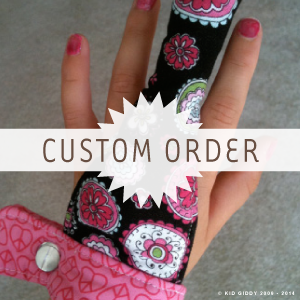 Visit her website to see what else she made! I love Jennie's choice of fabrics and love that her unicorn 'alicorn' stands out in a perfect way, and that the mane is blue. Proof that there are so many possible variations and they are all sure to look amazing! 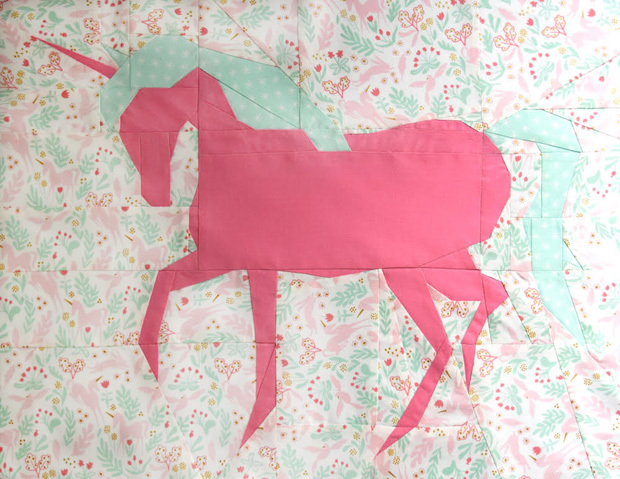 Jennie shared a bit more about her making of the block on her Clover and Violet website...I love their blocks so much that I now want a whole quilt made of unicorns! 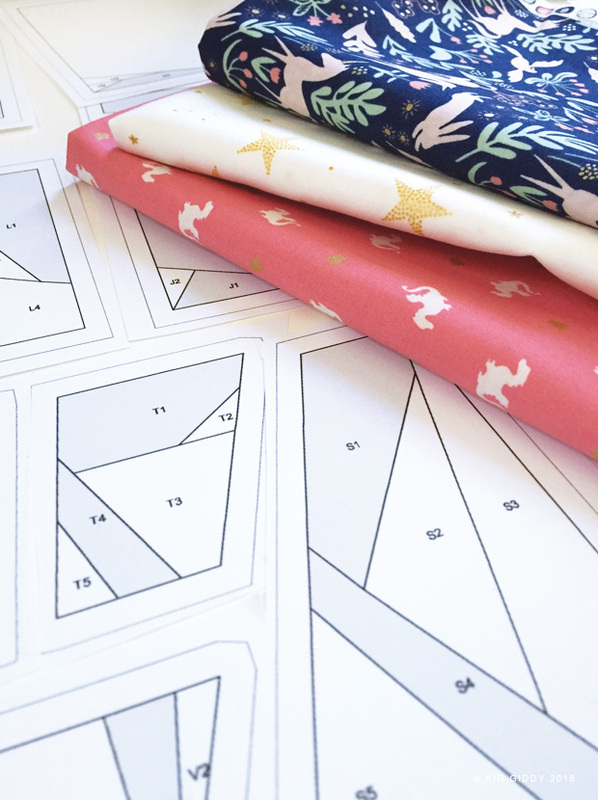 For those of you playing along and sewing along with each new block release...we have an awesome giveaway from Sarah Jane Studios herself. 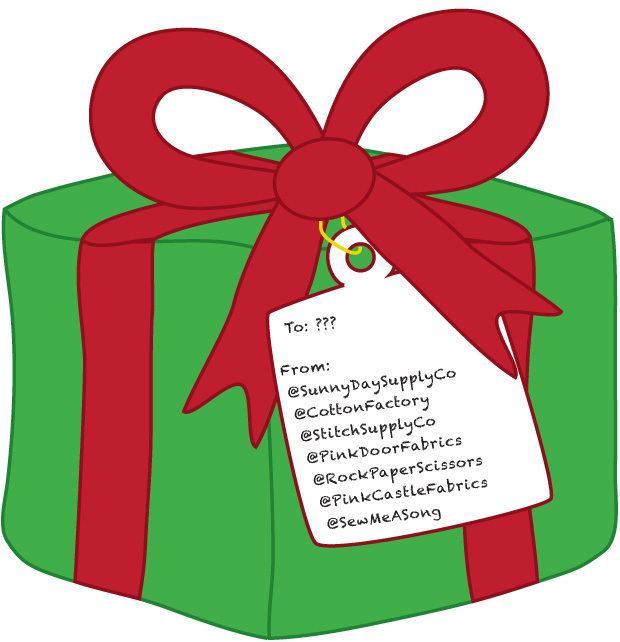 She is generously offering a $50 gift certificate to use in her online shop. One of the sewalong participants that finishes their unicorn block and posts it on Instagram will have a chance to win! You must be following myself (@kidgiddy) and @sarahjanestudios using the hashtag #LandOfMagicQuilt so I can see your block and will choose a winner. You will have two weeks to get your Unicorn block finished and entered for your chance to win the $50 gift certificate from Sarah. As always, please advise any questions you may have and thank you again for joining with me in this sewalong. 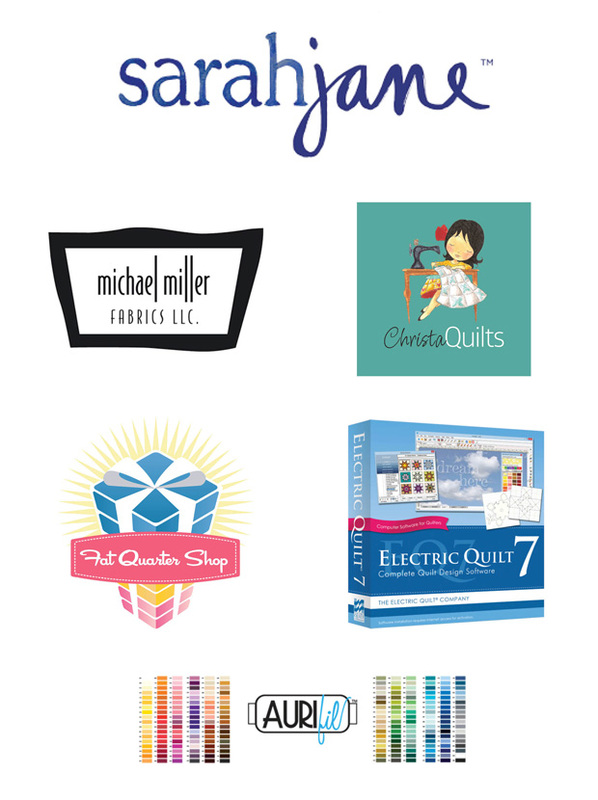 Thank you again to all of my awesome Land of Magic sewalong sponsors too!